Creaming method. Pipe through a bag, quarter size cookies, bake 375 degrees 10 minutes. Here's the final recipe we came up with. *(we also liked 3/4 c. conf sugar & 1/4 c.
Creaming method. Put through bag with large star tip. Bake @ 375 F for 12-15 minutes or until lightly brown. Decorate with choc chips, sprinkles or leave plain and dip half in melted choc., etc. Look at the picture she took! 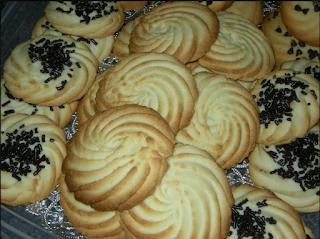 I made the cookies too. One I made with my butter cookie recipe and one I made with her recipe. 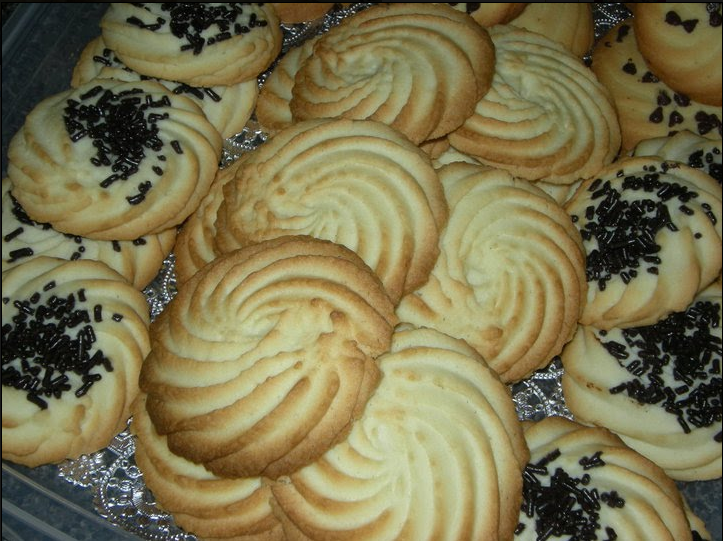 I have to say, the Sand cookies where so delicate and delicious.